Today is my beloved sister's birthday, and I can think of nothing better to give her than this marvelous recipe. I know it's going to mean the world to her, because it's a familiar taste from our childhood--delectable, nutty, rough hewn brown bread, unlike anything else in the world. Almost more amazing than having found this incredible bread, is that this recipe is the easiest thing I've ever made. I'm still reeling from my first attempt, though this is the third I've made this week. It seems that I can't stop! The proverbial pot of gold at the end of the rainbow this week, was, in a moment of sheer desperation, opening the fridge and finding a bottle of buttermilk there, twinkling away, on the shelf. It's been a harried week around here, with my friendly house-painter, Tim, in residence (it feels like) removing the wallpaper and painting the stair hallway right outside my study door. That means three stories of plaster dust and chaos, and the incredible cacophony of his blaring music which, I'm sure while very nice is, how shall I say, different from my music. This is going to be a short and sweet lagniappe as it's a glorious day and my garden beckons. It's actually being written in anticipation of tomorrow when my column in the Times Dispatch is all about homemade ice cream. 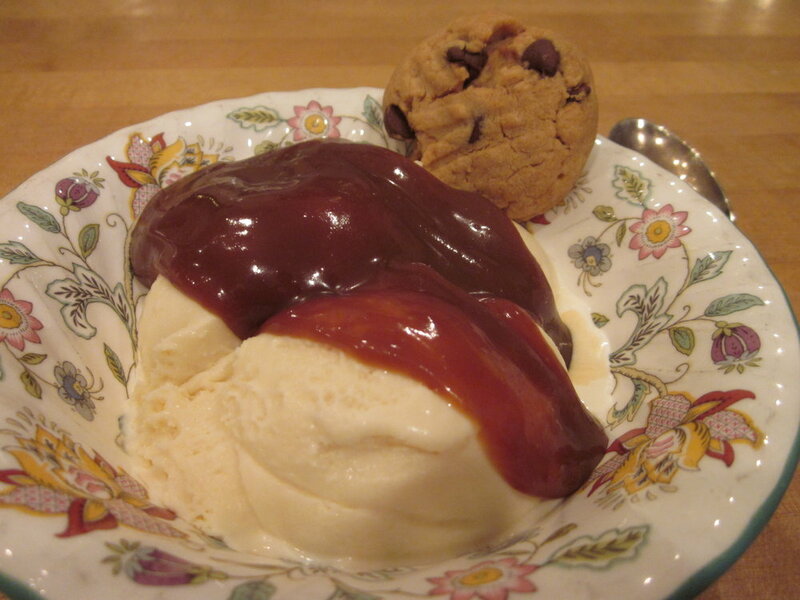 I've been in an ice cream making frenzy for weeks, as you'll see if you read the paper, however, my theory is that if you're going to make ice cream, you need to make a really fabulous something with which to bedeck it: caramel sauce. It's so thrilling to have a culinary coup. I'm quite certain it's happened to you too. You know how it goes--you eat something remarkable somewhere and simply can't get it out of your mind. You try and try to recreate it and then, as if by magic, you suddenly find the missing key and voila--you've mastered it. Funnily enough, it's often the simplest things that make the biggest impression and are the hardest to replicate.